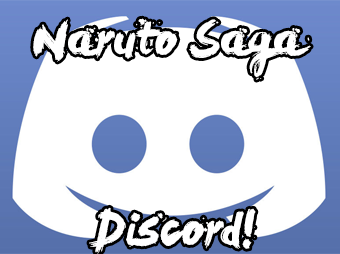 Naruto RP Saga » Hi no Kuni » Hi no Kuni » Clandestine Agitprop. KONOHAGAKURE NO SATO. LATE SUMMER, MIDNIGHT. 「Like a gentle breeze through the forest, the raven-haired shinobi effortlessly slunk through the dimly lit streets of the Hidden Leaf without so much as a sound. Irradiated by moonlight, most of the village had retired for the night. Stragglers remained, shuffling about the darkness-clad streets and roads. The restaurants had closed for the night, leaving only the various bars open for such stragglers to visit. Yet the propensities of the Hidden Leaf’s late night throngs were neither his focus nor his interest. Now that he had returned to his home, the birthplace of shinobi, the time for vacation and pleasure were over. Mostly. There was a plethora of work to be done and it had been made apparent to him that those in power would not act in the Hidden Leaf’s best interest. They had chosen to sit and fester upon their pedestals; through both action and inaction they perverted the Hidden Leaf’s most precious ideals and made a mockery of the generational loyalty of shinobi to their village. He had seen the documentation himself. Ranked shinobi allowed to throw away their loyalties and affiliations for no reason better than wanderlust. It sickened him to think that there were those among him in the village so eager to break rank and throw away an ideal as sacred as allegiance. It was such action and inaction that had spurred him into the breezy Fire Country night. The robe-clad figure stole into the Aburame compound without an issue, unseen and unheard. The glowing red eyes hidden beneath his mask acted as his guide, avoiding the few wandering shinobi on patrol and villagers that lingered about on the streets. The door that separated him from his quarry was made quick work of, and he entered without a sound. He navigated the halls as though he had lived there himself, and the adults that slept within in a nearby room were given an aid for their slumber in the form of harmless sleeping gas from a canister. Takao made a mental note about improving his methods to be less invasive and less redolent of indecency but resolved to indoctrinate his young Aburame quarry into the ranks of ROOT regardless. Slinking away to the bedroom of the aforementioned, Takao opened the door, and the cloak of chakra he wore to disguise himself visually disappeared whether N’jobu was sleeping or awake. “Aburame, N’jobu.” He said, his naturally deep voice obscured and distorted beyond recognition by the mask that shrouded his face. His tone was loud enough to awaken him if he slept, or grab his attention if he hadn’t been. Waiting for confirmation that he had been acknowledged, Takao continued. N’Jobu sat by his window staring into the night sky, letting his mind wander freely as he traced the stars into the black abyss of space. He was a bit sore from his escapades earlier in the day while he was out doing some parkour through the village. The practice helped to keep his skills sharp, an archer must be able to move from position to position to avoid being locked down. The reflection of the sun’s rays bouncing off the moon illuminated the village in the twilight of night, leaving an eerie scene for those still awake like himself. As his mind climbed back into reality from its voyage into his imagination, he began to disrobe himself so that he could head to bed. After a few moments he was undressed and begun to put on his sleepwear which was nothing more than some old shorts. He pulled back the sheets of his bed and slunk himself down into it before pulling the sheets back over his body. It was a bit too warm underneath the sheets so as he often did, he stuck on leg out from underneath to regulate his body temperature a bit better while he slept. As he laid his head down on his pillow, he started to slowly drift off into peaceful slumber which he surely needed after today’s session. Within a few moments, his eyelids became a heavy as boulders as they closed down tight around eyes, leaving him to see nothing but darkness until the lucid dreams would kick as the would normally do. The black would begin to fade into dense forest deep in the heart of the Land of Fire. He would be trekking through the lush flora looking for new species of insects to add to his collection and get some inspiration for breeding his clan’s famed beetles. As he walked through the forest, he studied every inch of path to look for signs of insects that he could examine closer and get a better look. Out of the corner of his peripheral vision, he happened to catch the movement of an interesting looking creature on the forest floor, which looked like moving leaves. “Interesting…I’ll have to take a closer look,” he mused to himself as he moved over carefully to where he had seen the movement. Upon closer inspects, it appeared to be some kind of walking stick, or maybe a mantis of some kind. “Intriguing” he mutter as he reached down to pick up the fascinating little creature. Before he could reach it however, he was startled awake by an unknown voice in his room. The sound broke him from his dream as if he were released from a genjutsu, a harsh transition from the illusion back into reality. 「Takao’s cold gaze bore down upon N’Jobu from behind his black mask, ever-calculating and judgemental about his reactions. In his eyes, he could see resignment to the situation-- the realization that the caliber of person who stood before him boasted enough skill to evade whatever preventative measures were in place to dissuade intruders. He stood motionless for a moment, all sound from within the cloak dulled into nothingness. Even the steps forward he took were entirely silent, not a semblance of sound to be heard. After the battle at Inabayama, when he and Fuyuko were resting after being healed, he had found the tracking Kikaichū left on him at some point. It was destroyed shortly after, of course, for he did not abide by being tracked for any reason. Yet further investigation and process of elimination lead Takao to believe that N’Jobu was the one to leave it on him based on Aburame that were stationed in the area at the time. Thus, his interest had been piqued. “The Hidden Leaf has fallen prey to contentedness and been plagued by mediocrity. Generations of inadequate leadership have vassalized us to a lesser nation, enslaved us to one-sided treaties and deals, and spat on the long-standing tradition of village loyalty by trivializing defection.” The disdain for the Hidden Leaf’s government was clear in his voice. Yet lying beneath the venom in the words he spoke was an ember of passion for the village he loved. Perhaps N’Jobu would pick up on it, and perhaps he might not, yet its presence was there regardless. Takao was no anarchist. His life was nothing without the strict structure and hierarchy of the shinobi world. Rank and authority were as vital to his continued existence as water and air. Thus it was not that he hated those whose inadequecy had brought the village to its knees. Rather, he loved the village, and it pained him to see it a mere shadow of the glory it once boasted. Konohagakure, the first great shinobi village, was in tatters compared to what it could be-- and what it had once been. “There are things that must be done behind the curtain in order for the face of the Leaf to remain unsullied. In order for Konoha’s leaves to flourish in the sun, there must be roots that grow in the dark.” As he spoke, his eyes narrowed further beneath his mask. The deep tones of his voice remained metallic and indistinguishable. Overflowing with introspection, Takao remembered that his time speaking to N’Jobu was limited for the moment. With as much as he had to say on the matters of politics, it would have to wait. What really mattered to him at the moment was the young genin’s answer. The cold stare from the eyes of the mysterious figure bore down upon him intently as he lay there motionless waiting for them to speak. The figures moved toward him slowly, it’s footsteps producing no audible sounds to his ears as if the figure were a ghost. After a few moments of silence, they began to speak in a strange voice from behind the mask, likely a modulation of their actual voice to conceal their identity. 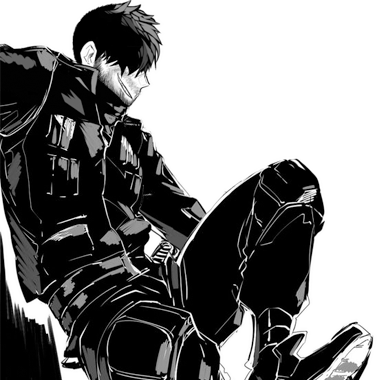 “Makes sense, if they were able to sneak into here undetected, they would likely conceal their identity in anyway possible…” he contemplated to himself. “The Hidden Leaf has fallen prey to contentedness and been plagued by mediocrity. Generations of inadequate leadership have vassalized us to a lesser nation, enslaved us to one-sided treaties and deals, and spat on the long-standing tradition of village loyalty by trivializing defection,” the figure said with a veiled passion behind their words. N’Jobu processed the words flowing into his ears as its message resonated with him. Being from one of the four noble clans of the Hidden Leaf, N’Jobu could never understand the scourge of those who would abandon the Leaf and how the leaders would let this transgression slide unpunished. Such defection would be unheard of within the Aburame clan and he would never allow any of his brethren to get away with such a disgrace. He remembered stories the elders of the Aburame would tell him when he was a child when the Leaf was strong and respected throughout the shinobi world. “There are things that must be done behind the curtain in order for the face of the Leaf to remain unsullied. In order for Konoha’s leaves to flourish in the sun, there must be roots that grow in the dark,” the mask figure would continue on. The analogy was not lost upon N’Jobu who was intrigued by the words of the masked figure who appeared to be setting the stage for some kind of clandestine operations of sorts to bring the Leaf back to its former glory and wanted N’Jobu to join in his crusade. N’Jobu thought about the proposition laid out before him. He didn’t really have much choice in the matter it seemed but in this case, he was intrigued by the proposition and wanted to see where the rabbit hole would take him. “I’m in…what’s next?” he would respond back to the masked figure as he sat up slightly waiting for a response. The unintentional preachiness of his message was only acknowledged in retrospect, but disregarded wholly, for his passion on the subject easily overwhelmed any notion of tediousness in his explanation. The Leaf was his home, and more importantly, it was his family. Any threat uttered against it was no different from a threat made directly to his own kin. His explanation was given and N’Jobu uttered his response; willingness to join the cause which he knew precious little about. That was exactly what Takao desired, and the attitude that would benefit this organization of his the most. Takao’s hands came together and formed a single seal, the tiger, as he drew chakra to the palm of his right. Ink-like markings were drawn across his flesh, three solid black bars and two broken into four, the long forgotten marking of an organization sworn to defend the Leaf from within the shadow of the leaves. This, the seal that had been abused by its creator in the past, and perverted for self-gain, would finally come to find its true calling in proper servitude to the Hidden Leaf. It was a mark that would bind N’Jobu to not only ROOT, but to the Leaf as well, acting as a reminder of what it was that their lives were devoted toward. As his hand was extended outward, displaying the mark he bore upon his palm, his cold gaze settled upon N’Jobu from behind the glossy black mask. All he need do was extend his own hand, and Takao would transfer the seal to N’Jobu, writing his chakra across the back of his tongue and onto the surface of his brain itself through his hand. It would bind his words and thoughts to the seal and to Takao himself, preventing N’Jobu from speaking about ROOT, while conversely preventing others from probing the inner channels of his thoughts for such information. “Accept this seal,” Takao said. As he watched the motions of the figure before him, he wondered just what he would be getting himself into. He was loyal to the village and loyal to his clan so anything ensuring their safety and prosperity he would be willing to participate in. The masked figure would outstretch his hand as a marking began to form upon it in the form of several black bars with the bottom two being broken in half. "Accept this seal, and join Root," they would say from behind the mask enticing N'Jobu to outstretch his own hand to accept. He lifted up his arm and touched it to the masked figures, feeling chakra surge through his body to his tongue which felt an odd sensation upon it. "What the hell," he pondered to himself as he tried to figure out just what had occurred. He stuck out his tongue which revealed the same markings which had been on the figure's palm, and in the brief moments which he had looked away, the masked figured had vanished back into the darkness. "Well then...I guess they'll just find me when the time is right I suppose." He pondered to himself some more about what he had gotten himself into before checking on his fellow clan mates to ensure their safety. After finding them all asleep, he returned to his quarters to lay back down in his bed. He was still quite tired from having been awoken from his slumber in the first place and intended to return to his dreams once more.